Fokker F.50 PH-FZG (c/n 20202) seen departing Amsterdam IAP on 15Mar07. 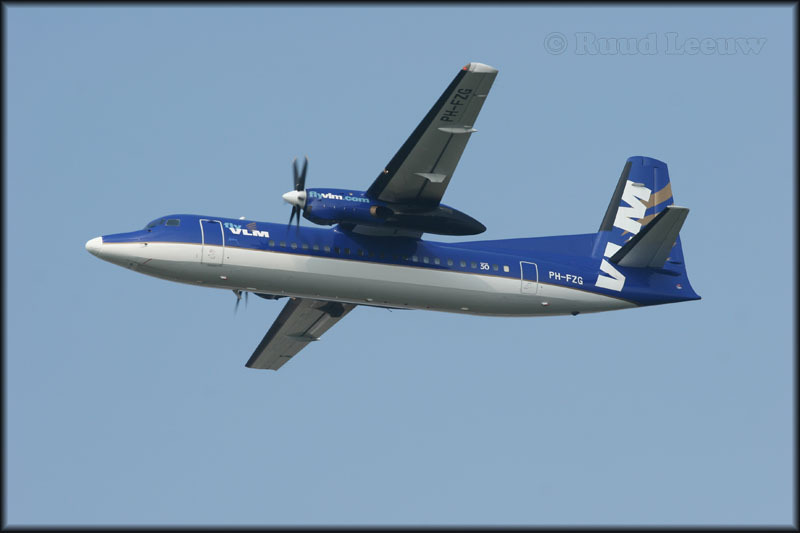 VLM Airlines was acquired by Frevag Group (Panta Holdings) in 2001. The airline was acquired by Air France/KLM Group on 24Dec07 (approved 24Oct08 by UK's Office of Fair Trading, after several slots at London City-LCY were released to Eastern Airways). Started trading as CityJet (using BCY identifier) from 11Jan2010. Credit for the screendump above and source of this text: Aerotransport.org (a.k.a. ATDB online) the online aviation database. 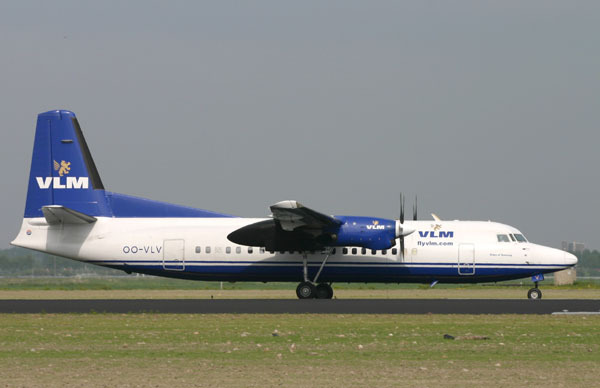 Air France-KLM announced on 28May09 that VLM Airlines will gradually start to operate under the brand name CityJet. The name CityJet being already in use by the Irish regional partner of Air France-KLM. Fokker F.50 OO-VLE (c/n 20132) is seen here proceeding to the runway for take off, after having taken in its passengers at the ramp of Rotterdam IAP on July 20th, 2000. VLM was founded in Feb.1992 but operations did not start until 15May93. Homeplate is Antwerp,Belgium. Rebranding is a slow process: while the new colourscheme was introduced Jan.2004, F.50 OO-VLV (c/n 20160) is seen here at EHAM on July 25th, 2005 in its old livery. Webtitles have been added, though. 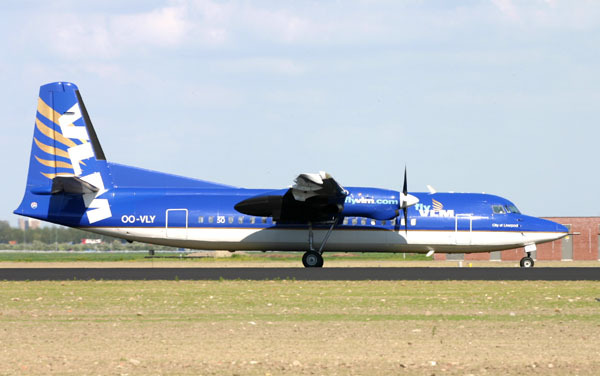 Fokker F.50 OO-VLY (c/n 20181) was the first to be painted in the new colourscheme; the paintwork was done at Aviation Cosmetics at Eindhoven (the Netherlands) and presented to the eye of the world on 27Jan04. It is seen here landing at rw36R at Amsterdam IAP in May05.